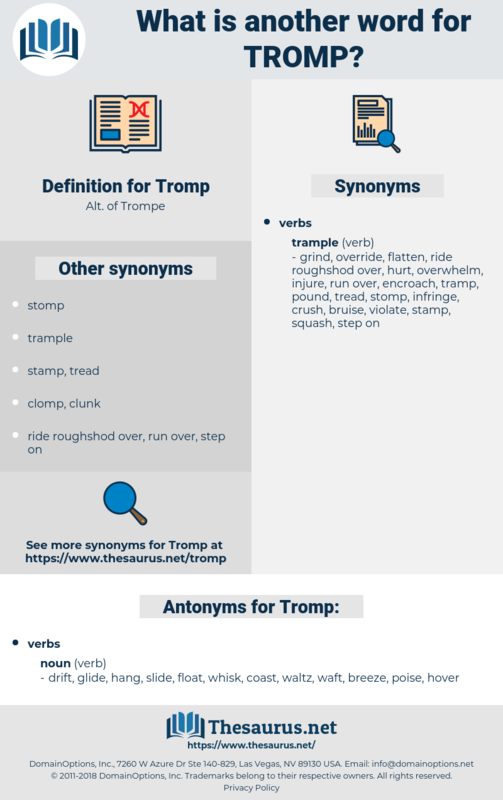 What is another word for Tromp? coast, float, waft, breeze, poise, glide, slide, hang, whisk, waltz, drift, hover. 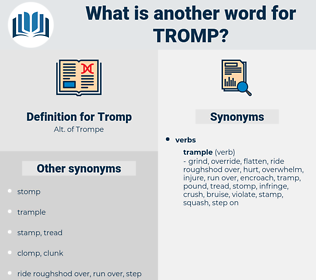 Van Tromp is no more. Then it was that Van Tromp hoisted a broom at his masthead, as a sign that he had swept the British from off the seas.